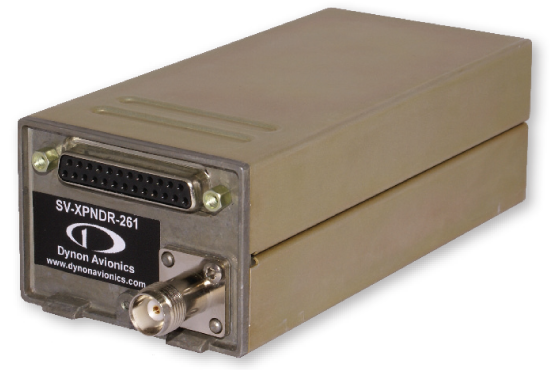 SkyView ADAHRS Modules: ADAHRS stands for Air Data/Attitude/Heading Reference System. 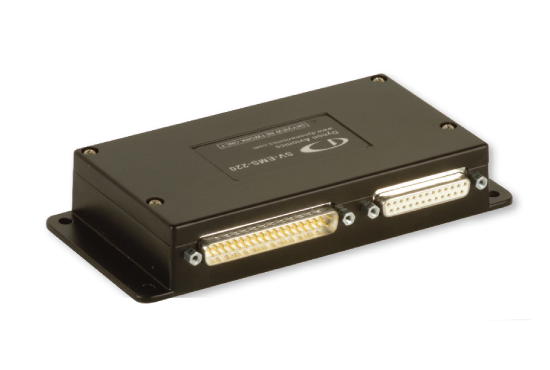 The SkyView ADAHRS module uses MEMS sensor technology to accurately measure inertial, magnetic, and air data. These provide the data necessary to drive the Artificial Horizon/Synthetic Vision, Airspeed, Altitude, Vertical Speed, Slip, Turn Rate, Angle of Attack, and Gyro-Stabilized Heading. Additionally, Outside Air Temperature is obtained from the SV-OAT-340 Sensor which is connected to the ADHARS Module. 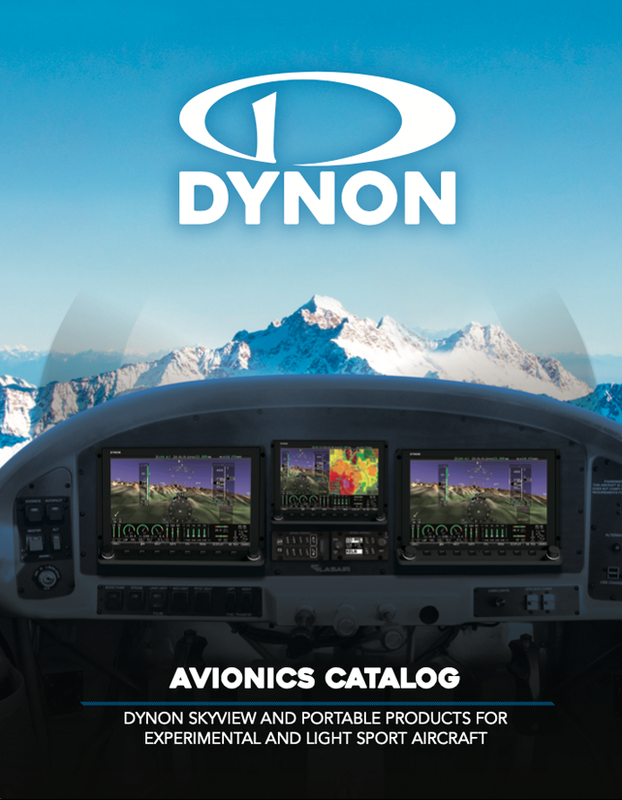 Dynon sells a primary ADAHRS model (SV-ADAHRS-200) and a backup model (SV-ADAHRS-201). The primary and backup models are identical in functionality, however you must have at least one SV-ADAHRS-200 in the system in order for the SV-ADAHRS-201 to function. The SV-MAG-236 Remote Magnetometer: was developed for situations where the SV-ADAHRS-200/201's integrated magnetometer cannot be located in an area free of magnetic disturbances while satisfying the other installation constraints (such as proximity to center of gravity) of the SV-ADAHRS-200/201. The SV-MAG-236 is particularly recommended for steel-frame aircraft. 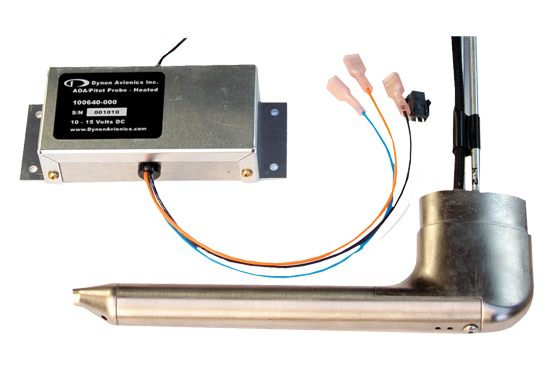 To minimize the possibility of magnetic interference from the connector assembly, the SV-MAG-236 uses an 18-inch integral cable – the connector is remoted from the magnetometer sensor. A maximum of one SV-MAG-236 can be used in a SkyView system. Design Considerations: A SkyView Network Cable is used to connect a Remote Magnetometer Module to a Display. One Remote Magnetometer Module will provide data to as many Displays as are connected in the SkyView System. However, when you install a secondary ADAHRS (SV-ADAHRS-201) only one Remote Magnetometer needs be installed. Outside Reference for Attitude: An ADAHRS requires an outside reference in order to quickly find and maintain its reference horizon. 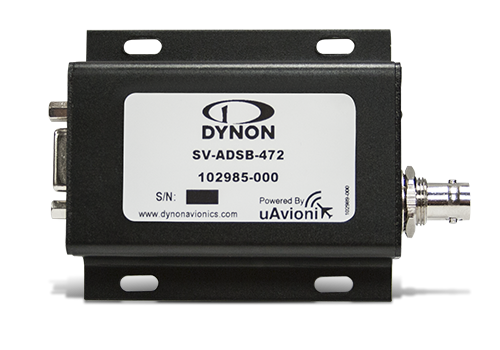 Dynon ADAHRSs use air speed derived from the pitot and static ports as their primary outside reference. Airspeed is the best reference to enable a fast attitude capture; Dynon units can typically find the horizon in under 10 seconds, even in flight. Units that do not use air speed can often take several minutes to find the horizon, and often require straight and level flight or to be stationary on the ground. In order to have a backup in the unlikely event of loss of pitot or static data, all Dynon ADAHRS revert to GPS ground track if a GPS is connected. Installation Location - Motion Sensors: The ADAHRS internal sensors measure rotational motion and acceleration about the CG of the aircraft. 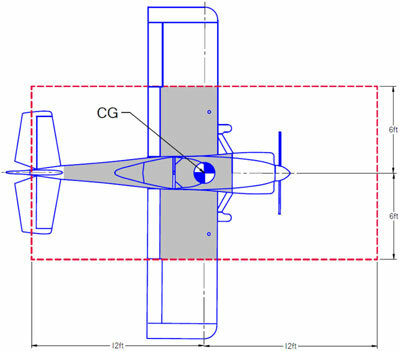 In order to maintain accuracy, the ADAHRS should be mounted within six feet laterally (side-to-side) and twelve feet longitudinally (front-to-back) of the aircraft CG. Quite often the best place to mount the ADAHRS is in the fuselage behind the cockpit area. But other locations can work. Please see the SkyView Installation Guide for more details. Installation Location - Compass: The ADAHRS Modules include a Magnetometer (Remote Compass). This means that it needs to be located in magnetically benign location, away from high current wires and moving aircraft components that contain a ferrous material. Installation Location - ADAHRS: An ADAHRS installation location should be a rigid surface within 12 feet longitudinally and 6 feet laterally of the aircraft's center-of-gravity. The figure illustrates this below.